After Roboseyo's sage comment about how modern and stylish restaurants serve the worst food sometimes, I decided to go as down market as possible for lunch. 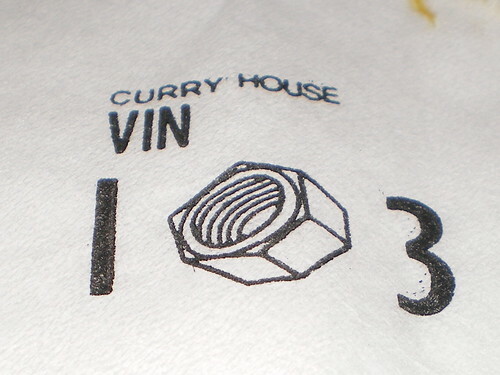 Indian Curry House Vin 103 fit the criteria perfectly. Dark and dingy is the order of the day. This cramped room seats forty using what look like old folding school chairs and cast offs from failed bars and night clubs. The samosa was rather ordinary and the "naan" didn't quite look like naans normally do, more chappati or roti in origin. 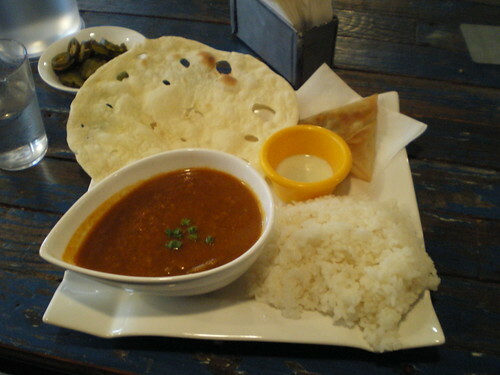 The curry had a few thin strips of beef, but tasted good and the whole meal was satisfactory for the budget price. Service was not particularly friendly, but it was efficient. Overall, good value for a quick weekday lunch. 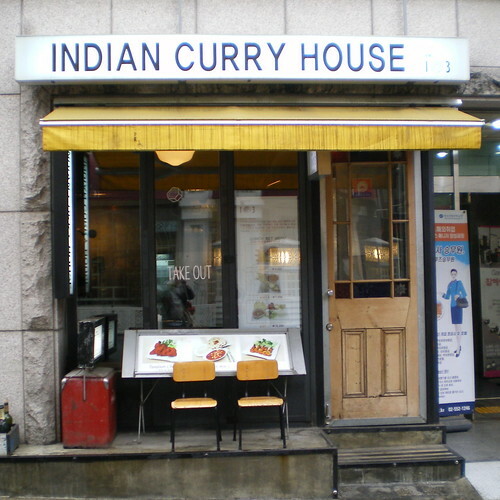 To get to the Indian Curry House Vin 103 get out at Gangnam station and walk towards the Gangnam CGV cinema, once you get there turn right and take the road between the 7-11 and the Co-Co Curry House. 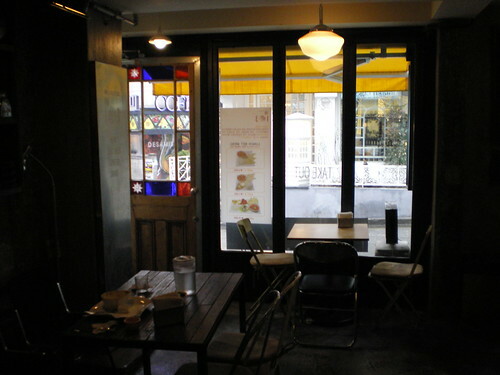 Indian Curry House Vin 103 is a little further up on the right hand side opposite the C'Etait Bien European Tea House. You can visit their cyworld page or call them on 02 508 8717. Now you're in my neck of the woods. 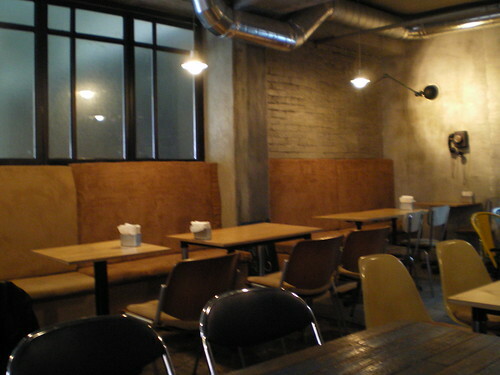 There's also an excellent Turkish restaurant, "Turkka", behind the CGV and in front of the 711 you pictured. It's a little more expensive, but offers a pretty discounted lunch menu. Thanks Clam, I've been to Turkka, back when they first opened. They did a nice set lunch and were very friendly. 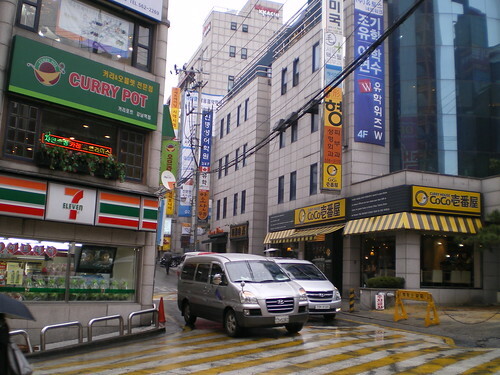 There are quite a few nice places in Kangnam, but you really have to trawl the backstreets to find them. Anymore recommendations? Which subway exit do you take to get to the place? And Ajosshi literally means 'uncle'. I think it's exit 7. It's the north side of Gangnam station. If you can see the City CInema building and Smoothie King then you are on the right track. Thanks for the map link Gloria, glad you liked the food.